Since we’re focusing on cold weather and the letter T, it made sense to play around with temperature today, including making our own thermometer. 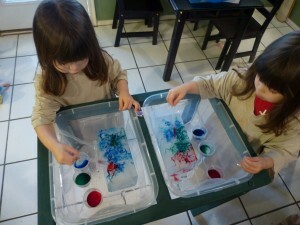 We reviewed different ways we measuring things and then talked about how temperature was how hot or cold something is. The girls were quick to talk about when we’ve taken their temperature so of course we broke out the thermometer and took our temperature. 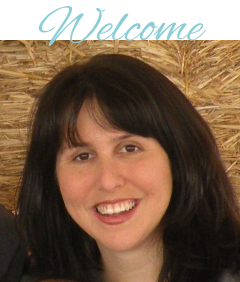 This was so easy but it did take a little tinkering because I kept making it harder than it needed to be. It seemed to work best when I used a smaller water bottle. Fill about a quarter of the bottle with equal parts water and rubbing alcohol. 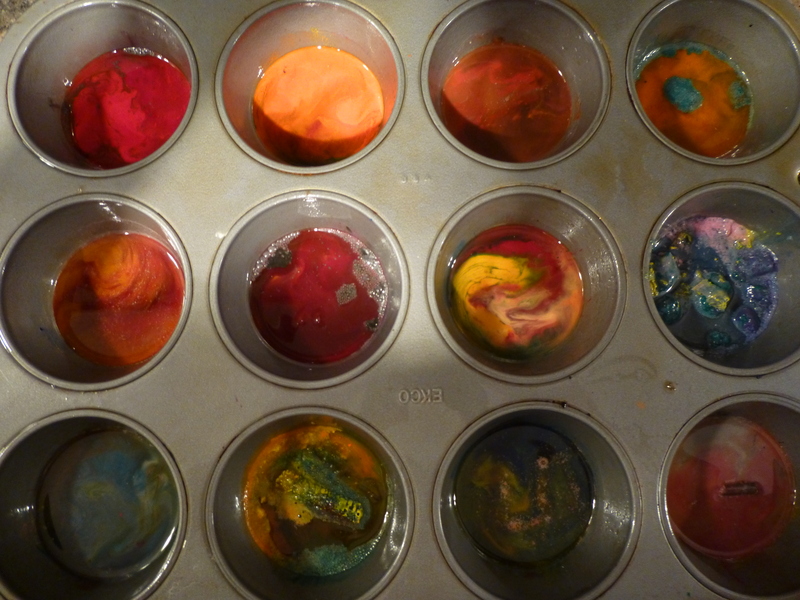 I found it worked best when I didn’t mix them up much. Add a few drops of food coloring (so that you will be able to see the temperature rise). 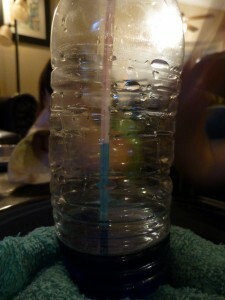 Put the straw in the bottle but make sure that it does not touch the bottom of the bottle. 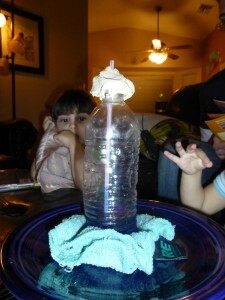 Use the modeling clay to seal the neck of the bottle. 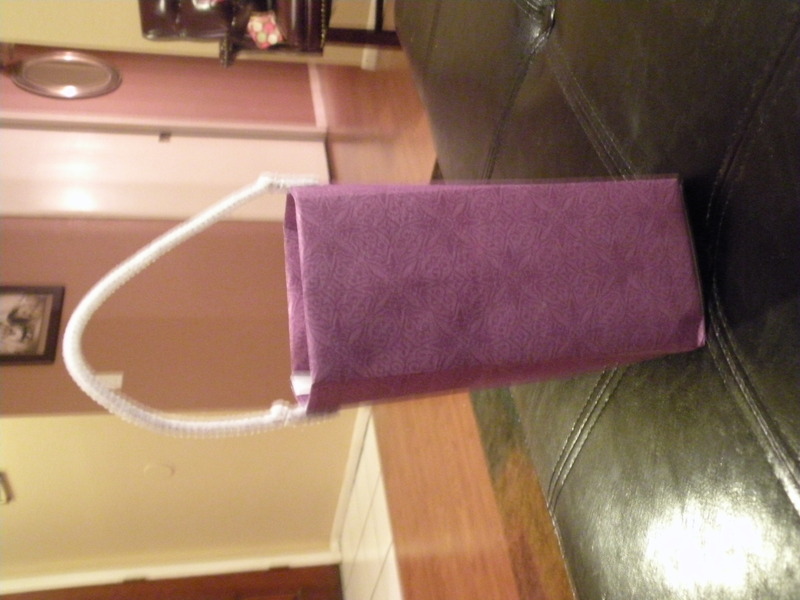 You want it to hold the straw in place and to create an airtight seal. We love holidays so of course we are celebrating Valentine’s Day! The girls made Valentines for their friends and yesterday we hosted a party for our playgroup. 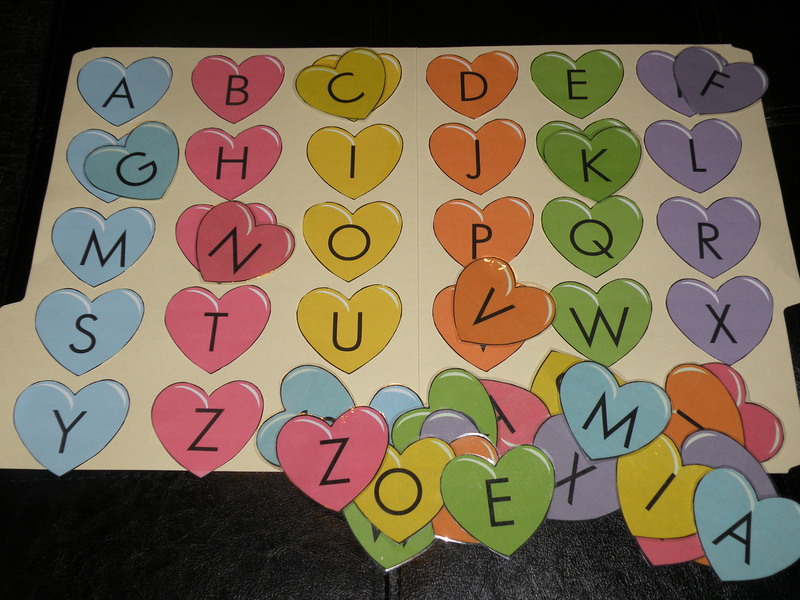 In addition to some crafts, we also practiced our letters and counting with some fun Valentine-themed activities. 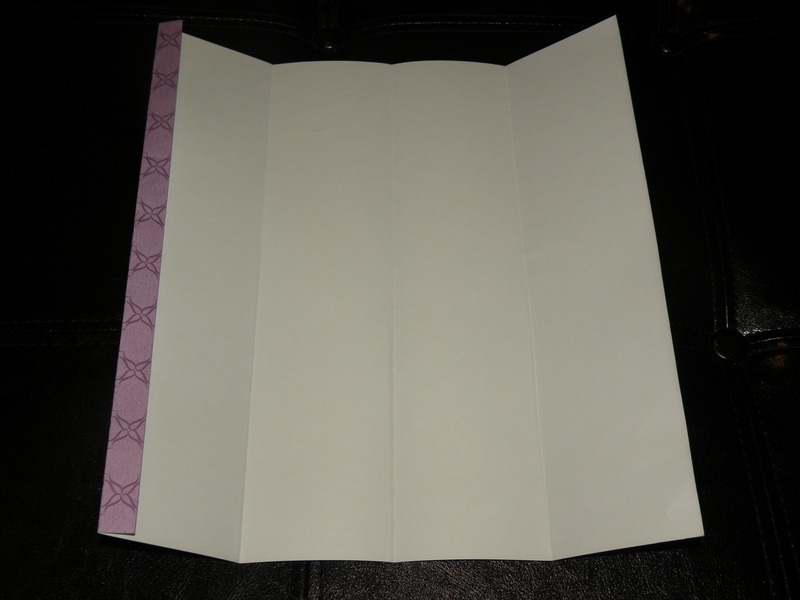 Using 12×12 cardstock, fold one side over about a quarter of an inch. Keeping that piece folded, fold the now shorten paper into fourths. 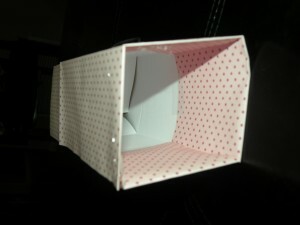 These will be the four sides of the box. Fold the bottom right corner in a triangle to make a right angle. This is to find how deep to cut to make the bottom pieces of the box. Cut along the fold along the triangle. Cut the same depth on the other two fold lines that help make the four sides. This cut should be about 2.75 inches, depending on how your folds work out. Since we didn’t want the boxes to be 10 inches tall, we cut along the three main fold lines at the top to create pieces that will fold down to shorten the box and strengthen the sides. We cut 3.25 inches down. 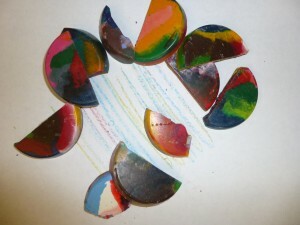 Then fold those flaps down and tape or glue them. On the last column which also has the small folded piece along it’s edge, you need to cut into that small folded piece so that it meets where you will fold the flap down. 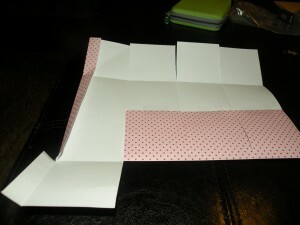 This will allow you to fold and tape the flap while not messing up the folded edge. 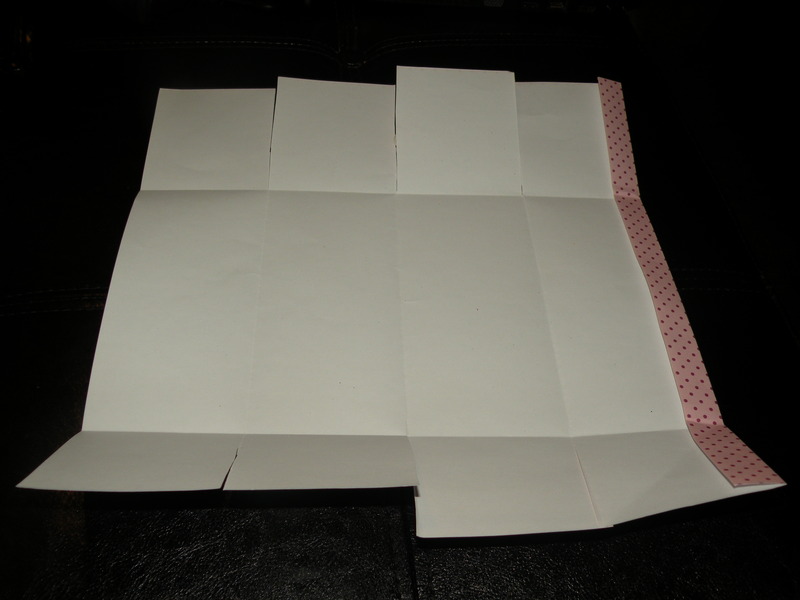 Next fold the paper back along those folds when you divided it into fourths and create a rectangular box shape. 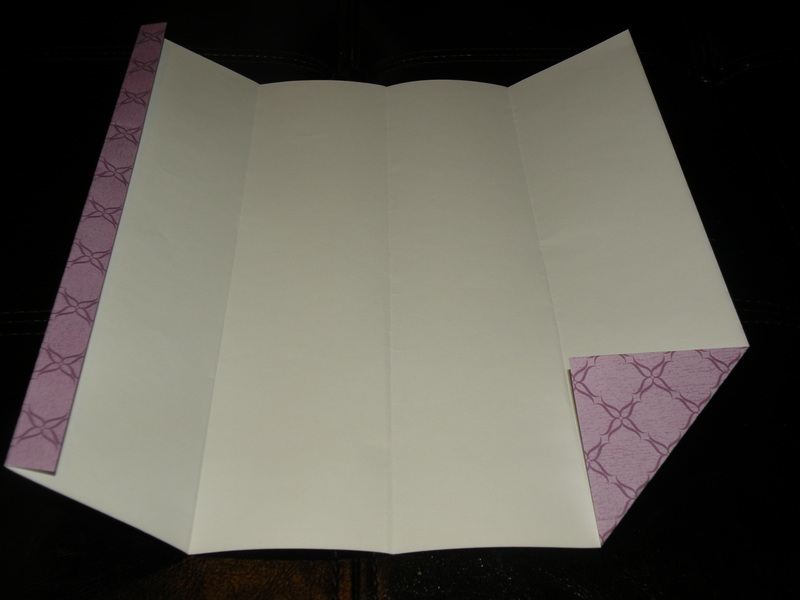 That first little flap should connect with the other side of the paper. Using a low-intensity glue gun, run glue along the edge of the first little quarter inch flap and attach it to the edge of the other side to make a box. Now we need to seal up the bottom. 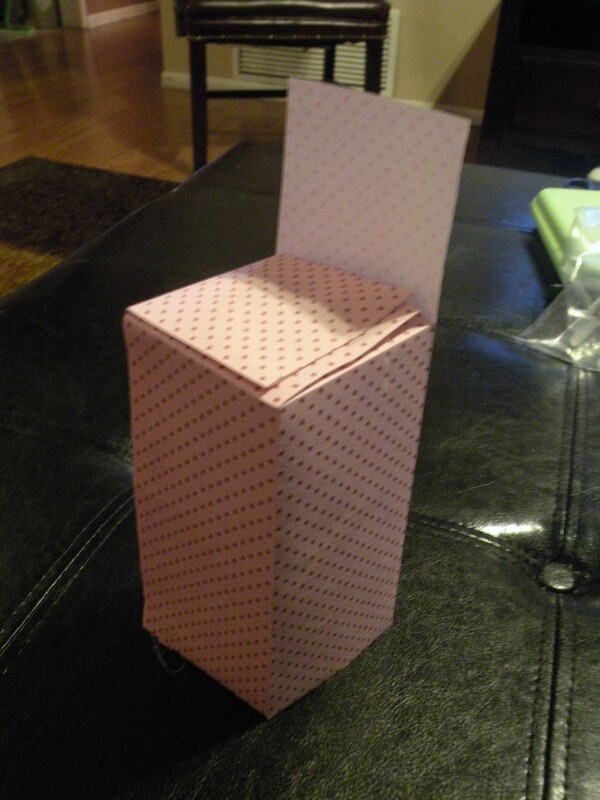 Take one of the flaps at the bottom and fold it down to start making the bottom of the box. Put some glue on top of the flap and fold down the flap next to it. 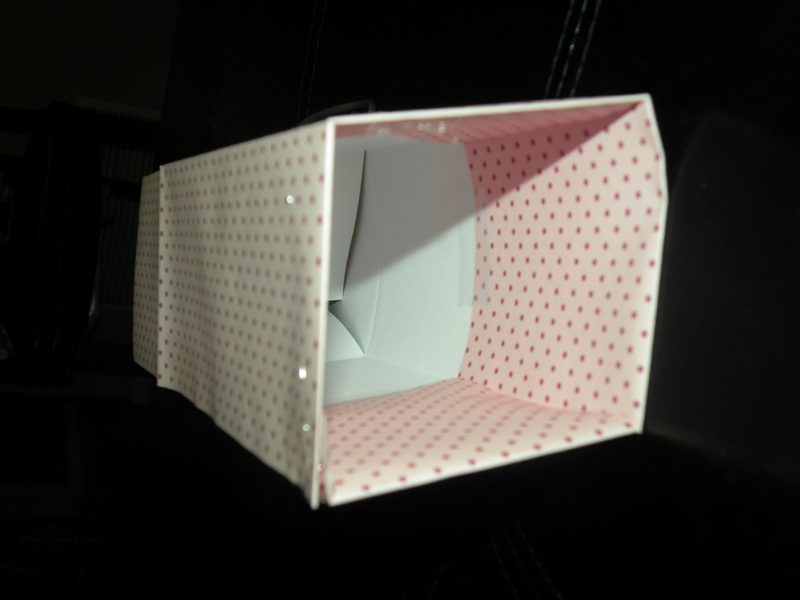 Keep moving around the sides of the box, applying glue and folding down the piece. The last step is to use a single hole puncher to punch a hole on either side of the box. Then run a pipe cleaner through to make a handle. 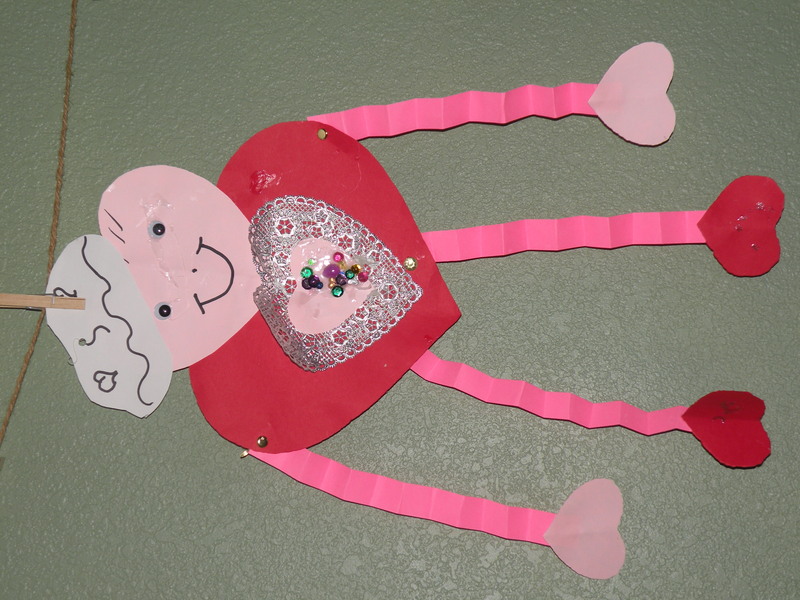 We actually made these cute little Valentine people at the art class we attend through our Parks & Rec department. 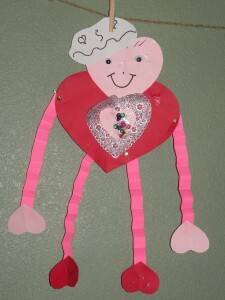 They are super easy, just glueing different size hearts together to make a person. We used paper clasps on the arms so they would twist and move. 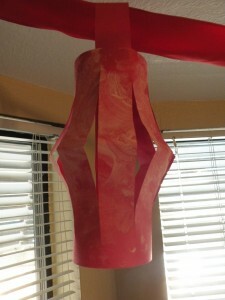 And our art teacher hung them with elastic cord instead of a regular ribbon so that the kids could make them bounce. Of course we made Valentines. When it comes to doing Valentines, I prefer the girls to make their own, especially at this age when they can’t write their names so there isn’t much for them to do with the store-bought ones. But they have to be something easy to do since we make quite a few. 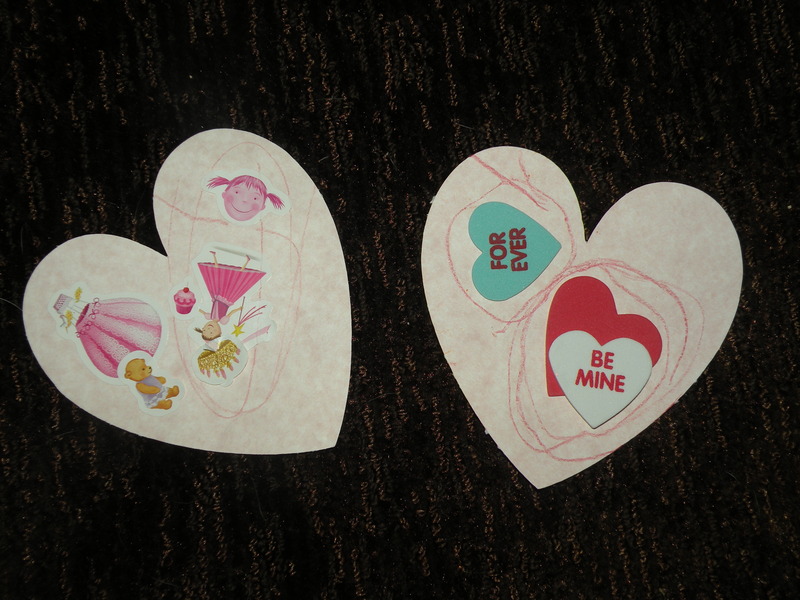 This year, I cut hearts out of pink cardstock (I used my cricut which makes life much easier). Then Mia and Zoe decorated the hearts with stickers, foamies, and crayons. They weren’t really into it at first so I showed the girls pictures of Valentines from some of the books we had been reading. 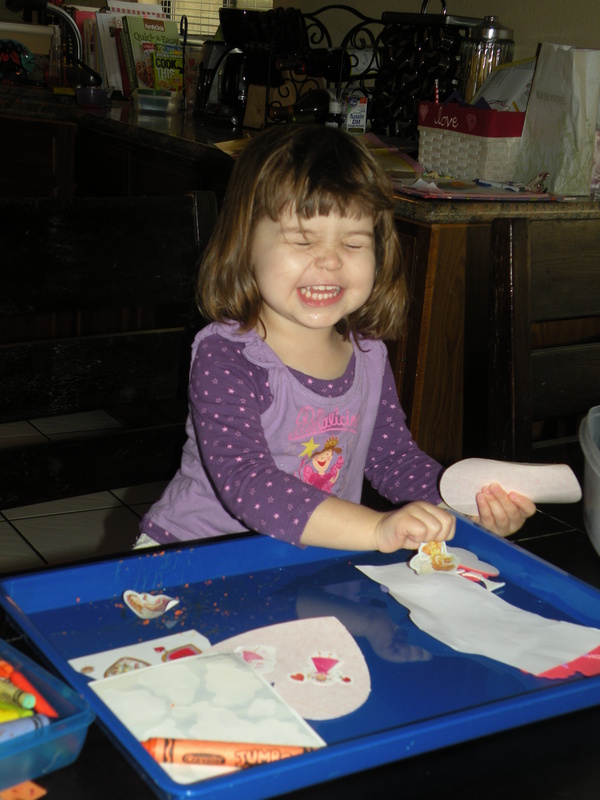 As soon as they looked at Fancy Nancy’s Valentines they got right to work making their own. (Here’s Mia giving me a cheesy smile while making Valentines). It was so cute to watch them pass them out at their playgroup party! 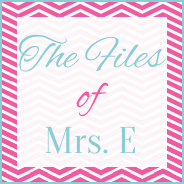 To practice our letters, I made a file folder game found at File Folder Fun. We are focus on letter recognition for capital letters, so I just printed out the first three pages twice. We also did this really easy felt board story from A Child’s Place. 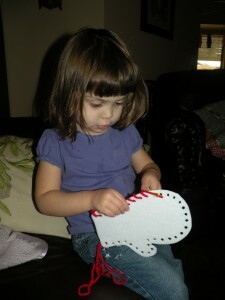 I just cut a bunch of hearts out of felt and wrote little Valentine messages on them. I have a red one, orange one, yellow one too. I have a green one, purple one, and one that is blue. I have a pink one, brown one, and one that is white. 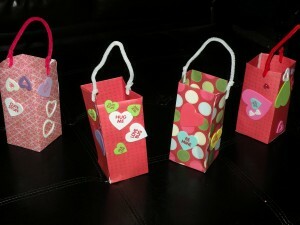 Valentines, valentines, Count them with me! Count them once, then we’ll count them again! Here are some of our favorite books to read about Valentine’s Day this year. They really helped the girls get the idea of the holiday–showing those in your life that you appreciate them. The girls really enjoy the Pinkalicious and Fancy Nancy characters so they have been enjoying the Valentine books from these series. I really like that Fancy Nancy using such great vocabulary and in this book shows sisters being close. Pinkalicious is not always my favorite but the girls love her. This book does a good job showing that while things might not happen exactly as you think they should, sometimes that’s even better. This book has a small amount of text and you really need to look at the cute pictures to appreciate the story. It tells the story of a girl who collects hearts that rain down and uses them to make Valentines specific to each of her animal friends. This is one of my favorite books! Gilbert needs to write nice poems for everyone in his class but instead he chooses to write mean poems to two kids who have been mean to him with consequences for the whole class. This is a longer story that really teaches them to see things from others’ point of view. To finish off the winter season, we focused on Jan Brett’s The Mitten, based on the Ukranian folktale. In the story Nikki wants his Babba to make him white mittens even though they could be lost in the snow. He then loses a mitten and all different animals crawl into the mitten to stay warm. It’s a sweet story with cute pictures! 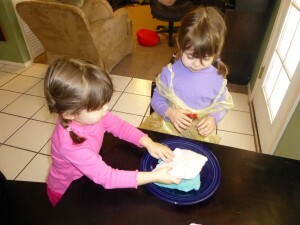 The mittens we made turned out really well and the girls LOVED “sewing” them! To make the mittens, fold a sheet of the stiff, white felt in half and cut out two mittens. (I started with a mitten template from Jan Brett’s website here but ended up adapting it to a size and shape that worked better for me.) 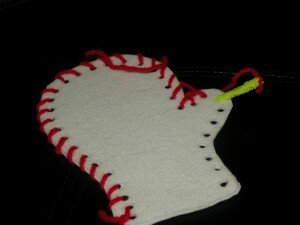 Then punch holes all around the edges of one of the mittens. Place one mitten over the other and mark a dot through each hole. Punch holes out on the second mitten. Next cut the yarn to be your “thread.” I measured the yarn twice around the mitten to know where to cut. 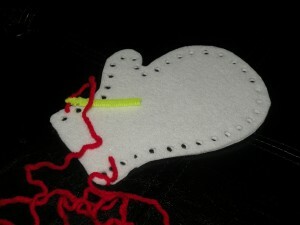 Then cut about 1 1/2 inches from the pipe cleaner to be your needle. Tie the yarn to the end of the pipe cleaner and then fold the tip over the knot. I usually give the pipe cleaner a twist to hold on the yarn. Tie the other end of the yarn to one of the holes at the bottom of the mitten. I found it was easier to have all of this done ahead of time. This was one project where we really had to work one at a time. 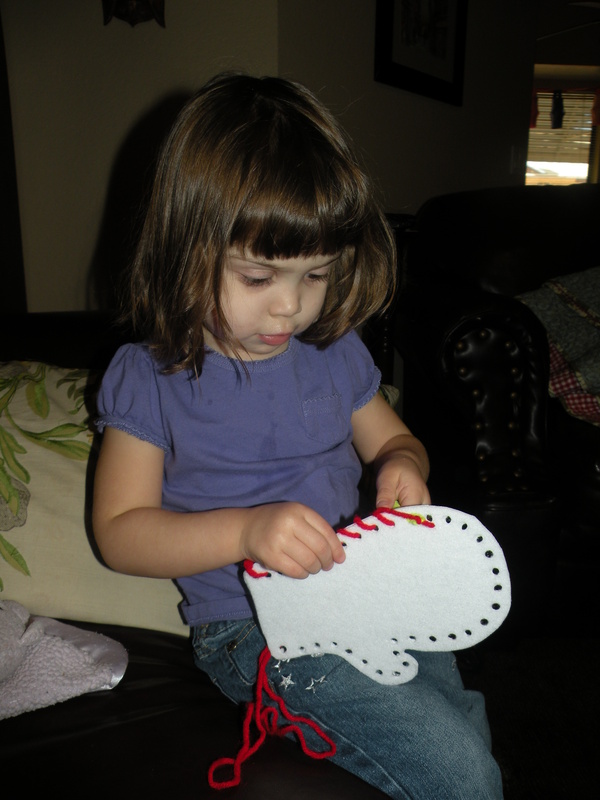 The girls would take turns playing with the mitten pieces and practicing poking the thread through the holes while I helped one with the actually stitching. 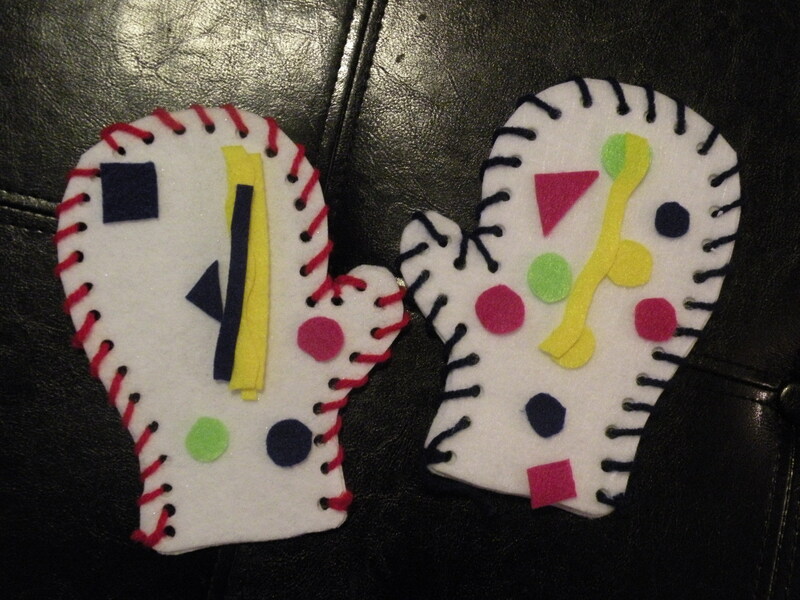 Afterwards we decorated the mittens using shapes I cut out of the sticky-back felt. 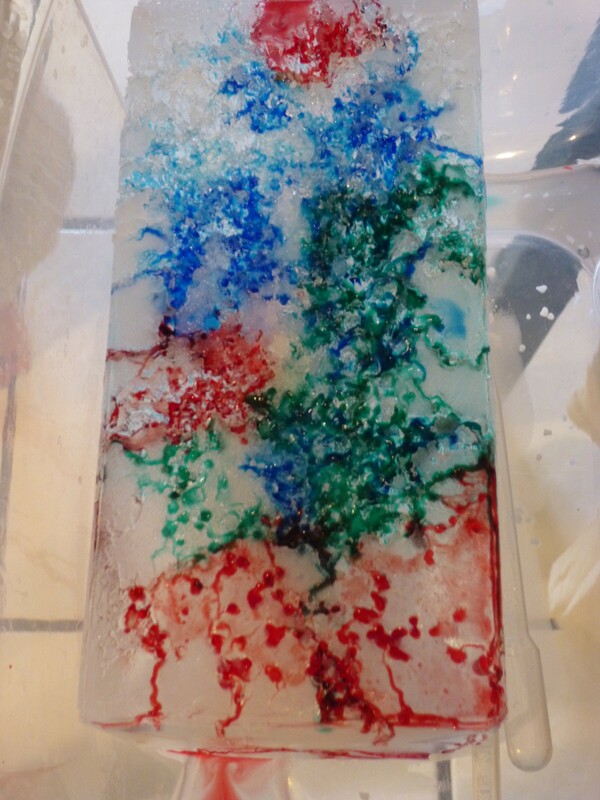 We talked about why Babba didn’t want Nikki to have white mittens in the snow and how our decorations would help Nikki find his mitten sooner. 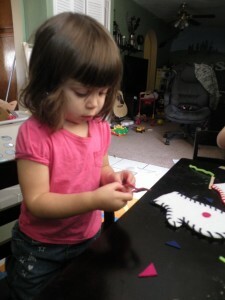 Originally my plan was for the girls to glue on bits of felt, ribbon, and pom poms. I then remembered I had the felt with the sticker backing and that was sooooo much easier and cleaner. Later the girls colored the animals from the story on this printable from Jan Brett’s website. I then cut out the animals they colored. With the animal pieces we re-read the story, putting them in their mittens as we went. 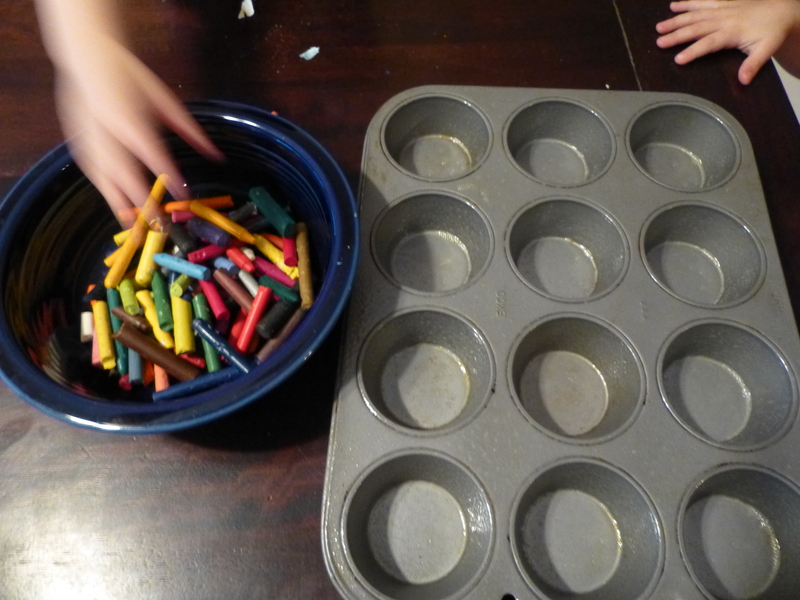 To practice our colors and counting, we also played a file folder game that I got here. Since we’ve done a few color matching games in the past, this time we matched colored buttons to the mittens in the folder. 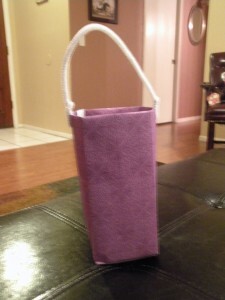 I had gotten a bag of multicolor buttons from the fabric store to use on projects like this. 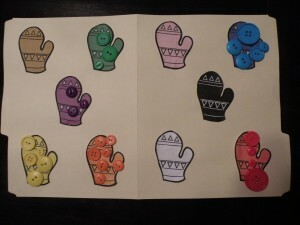 We then counted the buttons on each mitten, since each had a different amounts including zero. We also read the nursery rhyme, “Three Little Kittens.” Then we colored the picture I found here while practicing the number three. I’m just now realizing the problem with a blog like this is that I really need to do activities with the girls before the holiday. Oh well, I’m learning. Luckily Chinese New Year, which started last night at midnight, lasts for 15 days. To start we looked at picture from our trip to Virginia to visit family recently and reminisced a bout our New Year’s Eve celebration with my awesome sister and her family. 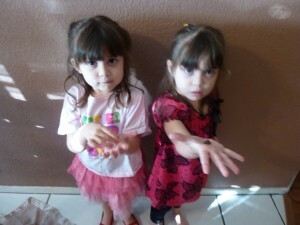 The girls had a great time dancing and playing with their cousins and still talk about it. 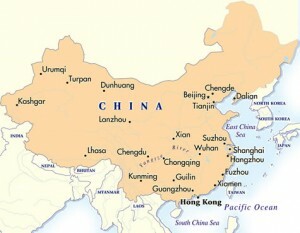 Then we looked at China on the map and talk about how this is when they celebrate the New Year. My main goal is just to start exposing them to the idea that people live all over the world with all different ways of living. You can find great maps through World Atlas. 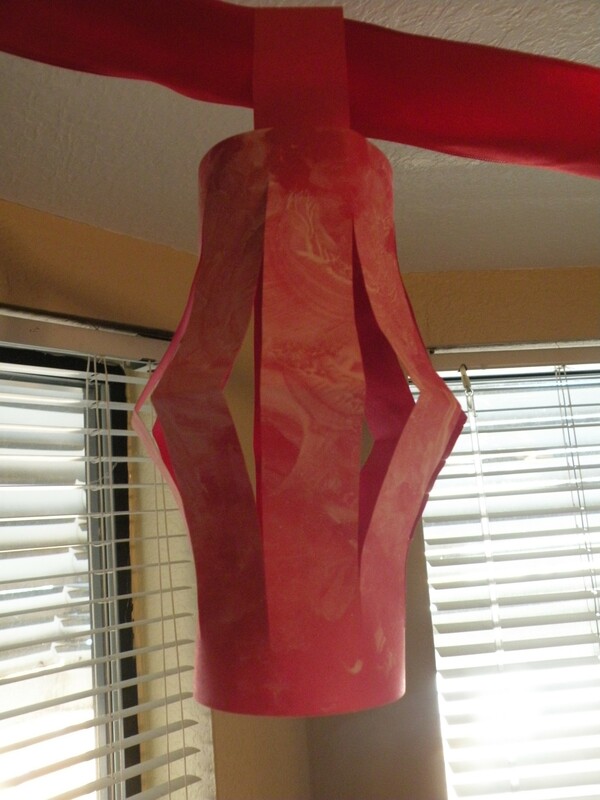 We made paper lanterns to decorate the house. The girls painted colored construction paper and then, since they are still too little, I put them together during nap time. 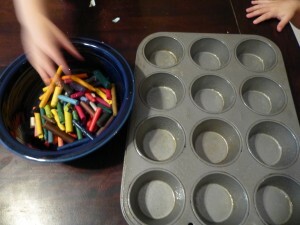 We kept ours very simple, but they could certainly be much more elaborate. The girls thought they were cool and I think they are so festive that we’ll probably leave them up for the girls’ half-birthday (yes we celebrate those). Another fun craft project was making dragon masks with the template I got here. And of course we had Chinese food. Since we are really focusing on eating healthy food at home (as opposed to going out, take out, or quick to make but bad for you meals) I am making stir-fry from Cook This, Not That–which I love! 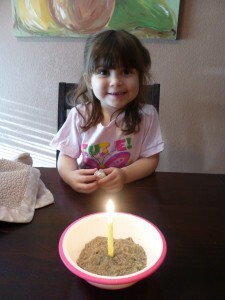 I know that it is not the most authentic of meals but maybe next year when the girls are more involved.